On behalf of the staff at Southern California Animal Hospital, we are honored to offer adoption services to those pets that are less fortunate. Please feel free to inquire about those pets that are available for adoption. Hello there! My name is LaBelle. I am a fixed female pit bull who is almost 2 years old. 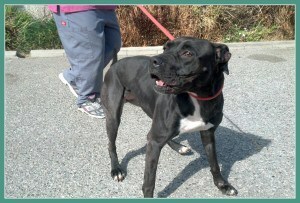 I am very energetic and looking for someone who can walk me daily and keep up with me. I was abandoned here in December after living all of my life in a cage. The rescue group that pulled me from the shelter wants nothing to do with me and left me here at Southern California Animal Hospital. I know how to sit and properly walk on a leash. Although I do need some training, I am a very lovable energetic dog! Ask a staff member for more information. Hi my name is Marble! 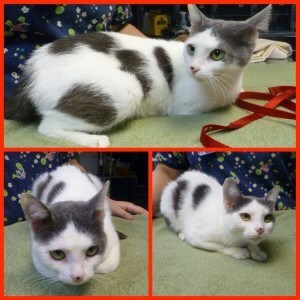 I am a one and a half year old female cat. I am super playful and love to cuddle. 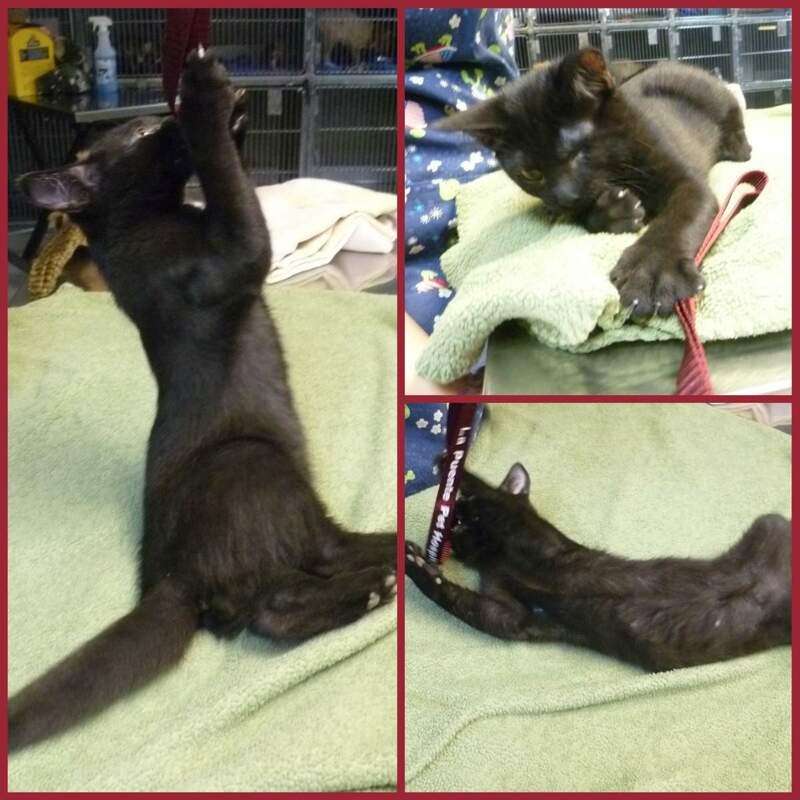 Ask about me and take me home today! My adoption fee is $85. 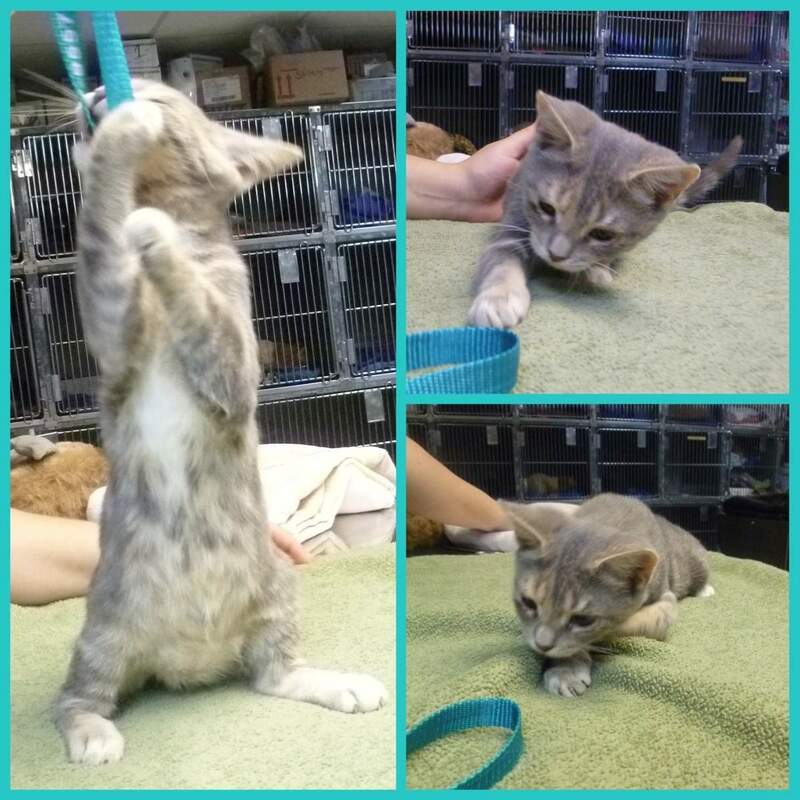 Meet Misty, a 12 week old grey female. She is shy yet playful. She is the only one out of all the kittens that still has both of her eyes. She found her forever home where she can play and cuddle! Hi! 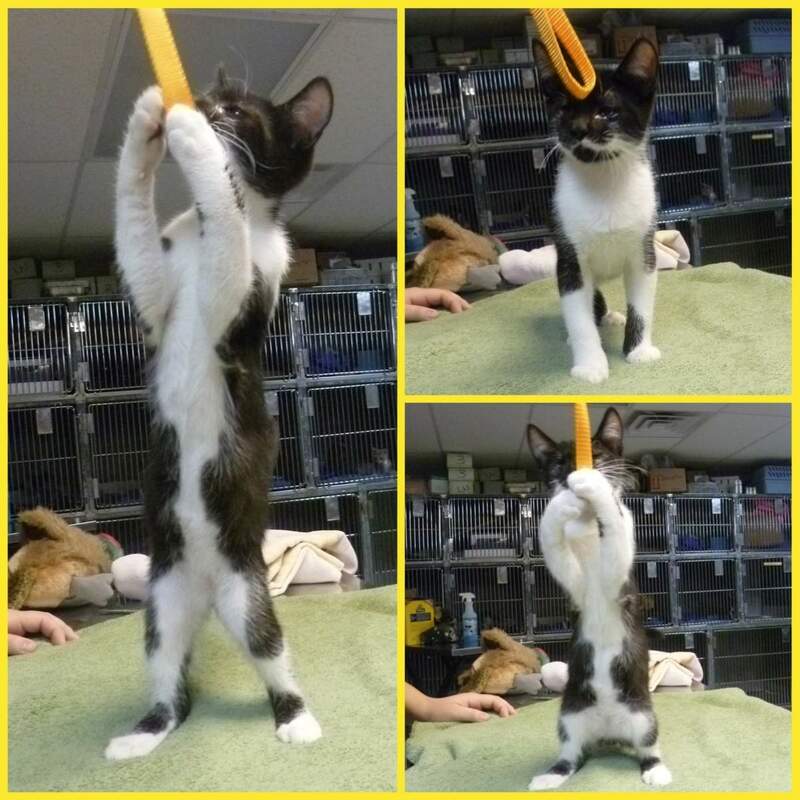 My name is Oreo and I am a 12 week old black and white male kitten. I am very playful and want to have fun all the time. Meet Tiger Lilly! 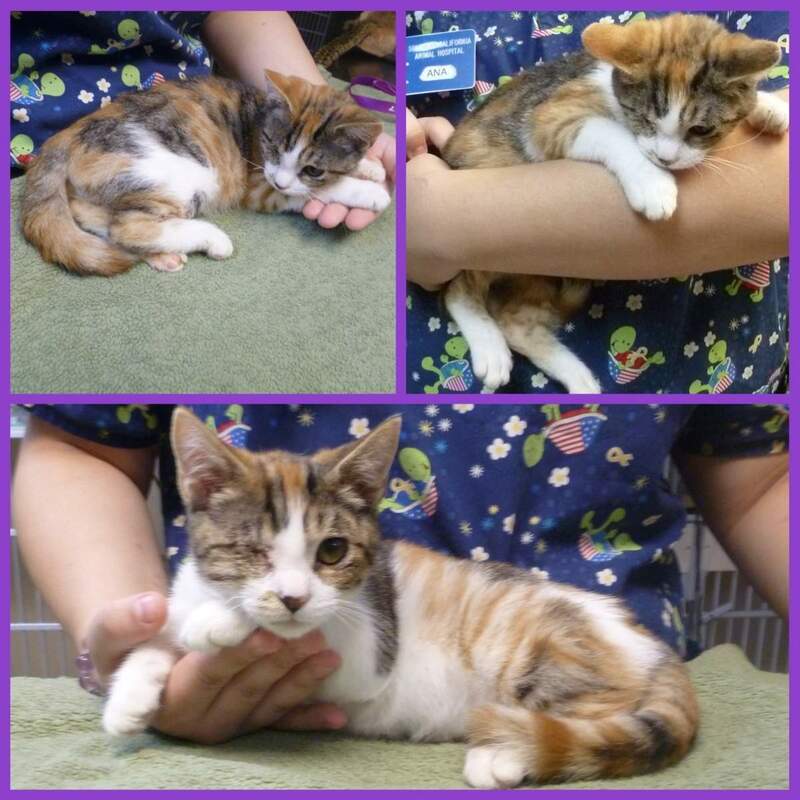 She is a 12 week old female calico cutie! I am the kitten that will cuddle with you all day long! I am not as active as my siblings but I do play from time to time! My name is Zeus! 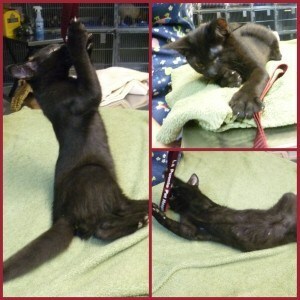 I am a 12 week old black male kitten. I am the most playful out of all my siblings. I love playing with other cats as well! I found my forever home that will keep me entertained! Someone dropped a box of five kittens off in front of our hospital one night. When we discovered the box of kittens we didn’t know if any of them would be able to see because their eyes were so bad. One kitten had both of her eyes so bad that she is no longer with us. The remaining four tried to fight on as their eyes got worse. Unfortunately, three of the kittens had to have one eye removed. One kitten was left very sick but made it through with both of her eyes. Now they are better and were recently adopted!